It's that time of year again—summer is here and it's time to celebrate Dads and Grads! Whether you're looking for that perfect gift for your iPad loving Dad or the gadget-loving Grad in your life, there's a little on this list for everyone in every price range! 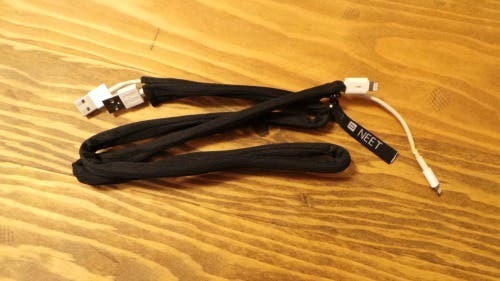 NEET Cable Keeper ($12) A tangle-free way to keep your cables organized at home and ready to travel. The colorful fabric shell with full zipper opening provides protection and structure to keep cords organized, and the unique design includes a structured wire which allows cables to be folded once they are enclosed in the shell. The full zipper gives easy access and the flared bottom allows room for more than one cable. NEET’s bright array of colors available makes it easy to identify your cords and keep them out of the way. Designed for mobile device cables 3 ft. (100 cm) or longer—cable not included. Available in 13 vibrant colors. Headphone Cable Tidy from Proporta ($6.96 for 3) By far my favorite stocking stuffer or little gift, these great little devices use a magnetic closure to keep your headphone cables tidy. The clasps are held shut by a magnet strong enough to work through clothing. 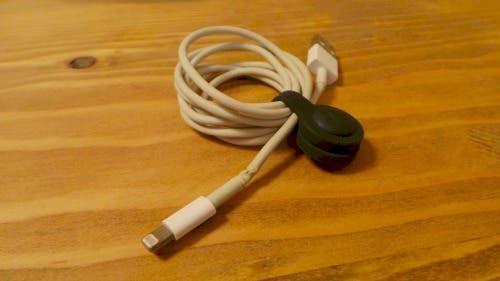 The Cable Tidys are lightweight and can be used with all of your cables. Available only in black. Otterbox Commuter Wallet Case ($44.90) Otterbox has another hit with this slim commuter wallet. I use mine any time I travel so I’m not pulling my wallet in and out of my bag all of the time. The Commuter Wallet case is a great way to carry your ID and credit and debit cards right with your phone; and the durable slipcover protects your iPhone 6 from the daily grind, while the polycarbonate shell and wallet offers impact protection while safely storing your ID and cards. The self stick screen protector guards against smudges and scratches. Available in a white or black case with slipcovers available in Deep Water Blue, Blaze Pink, Light Teal, Gunmetal Grey, and Black. Rokform Mountable Cases for iPhone ($34.99-$44.99) Rokform’s most popular shockproof iPhone 6 case is now available in customizable designs. All cases have the signature Rokform integrated mounting system (RMS)that bicyclists know and love.The RMS allows the phone to be mounted to an assortment of Rokform accessories for auto, home, and several sports, and the RokSafe Magnet allows mounting to any metal surface. Rokform mountable cases have six-sided protection, are drop tested to six feet, and include a soft inner liner and tough clear outer shell made of polycarbonate. The new Rokform mountable case system has a simple snap installation and includes a magnet grip and a wrist strap. It works with all v3 mounting systems. Each case includes a vinyl sticker available in five designs and works well with the Rokform bike mounts (described below). Rokform Bike Mounts (Starting at $29.99) The Rokform iPhone 6 Bike Handlebar Mount Kit allows you to take your phone on and off of your bike quickly. You can rest assured your phone is save with the included wrist strap and the industry’s only lever lock technology. The Handlebar Mount Kit includes the handlebar mount, a mountable and protective case,and wrist lanyard. Mount Kits are also available in an upgraded ProSeries design. 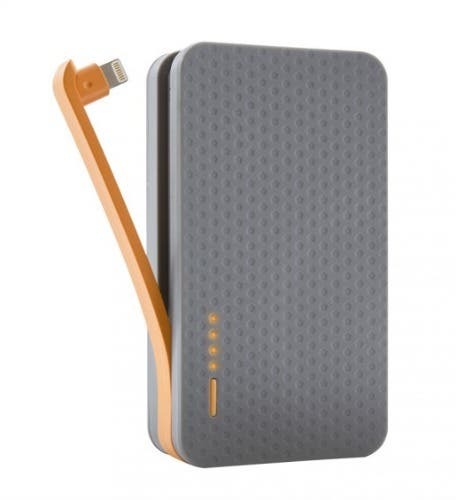 iHome Omni Battery Lightning ($69.99) This lightweight battery is great for traveling. My favorite feature is the foldaway prong—it allows for much easier storage. You can can charge an iPhone 6 approximately twice during the day with the 6,000 mAh battery and included lightning cable or charge another device with your own cable. The iHome Omni Battery is compatible with iPhone 6, iPhone 6 Plus, or iPhone 5/5S. Available in grey. SkinIt Custom Cases and Skins ($19.99-$44.99) I’ve been talking about SkinIt for a while because I love what they do—they take your memories and create a beautiful case for you. They also have a variety of licensed designs including Marvel, major professional and collegiate sports teams, and tons more. 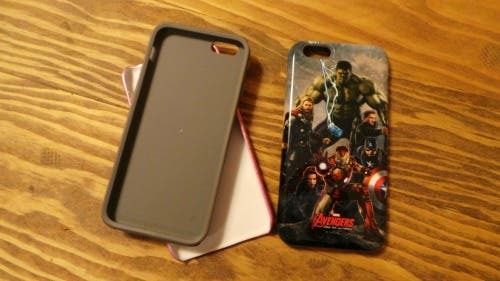 In addition to skins, SkinIt also makes cases for iDevices. While the skin is a tough sticker that adheres to your device, SkinIt’s cases vary from the ultra thin Lite Case to the heavy duty Waterproof Case with several choices in between. TYLT Energi Sliding Case ($99.99) A great new design from TYLTfor the iPhone 6. 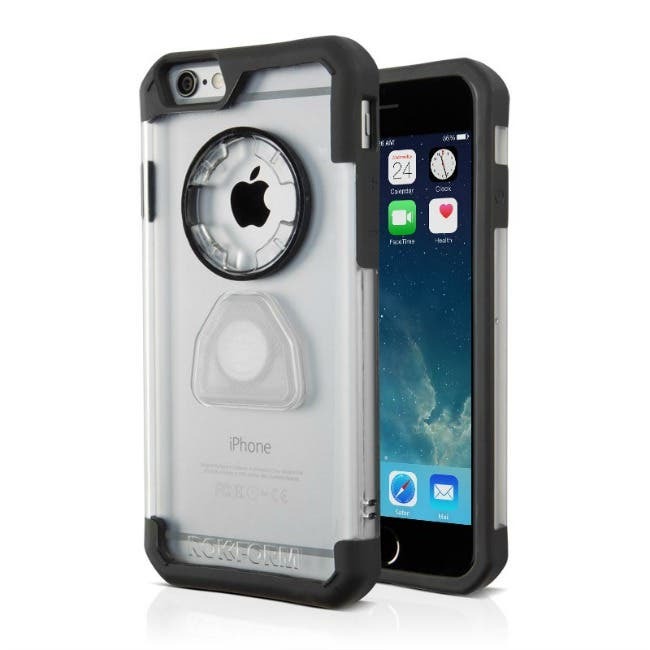 The inner case has a full-protection inner layer that easily glides out of the power sleeve. The Power Sleeve boasts 3200 mAh of power (which exceeds the 1810 mAh internal battery in the iPhone 6. The sliding case provides protection and all day power while maintaining a slim and lightweight design. In the box, you’ll receive a power sleeve, inner case, and micro-USB charge and sync cable. 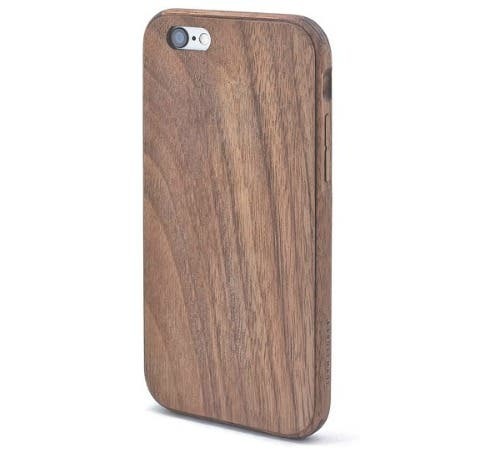 Grovemade iPhone Cases ($99) These beautiful cases are made of all natural wood and handcrafted in the USA.The precision joint design of the case creates a thin and durable case with an ultra thin back plate. Also available in maple or walnut, bumper only, full case, and a wood/leather combination. 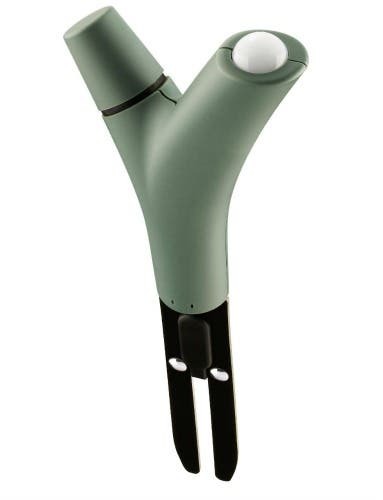 Parrot Flower Power ($59.99) This unique devices allows you to monitor the health of your plants right from your iPhone. Just “plant” the Parrot Flower Power close to your indoor or outdoor plant to monitor four parameters necessary for healthy plants: soil moisture, fertilizer, light, and temperature. The low energy Bluetooth technology allows data to be sent directly to your phone while a free app monitors the requirements for your plant through cloud technology. A database is available for over 6,000 plants. The Parrot is waterproof and can be used indoors or out. Available in blue, brown,or green. 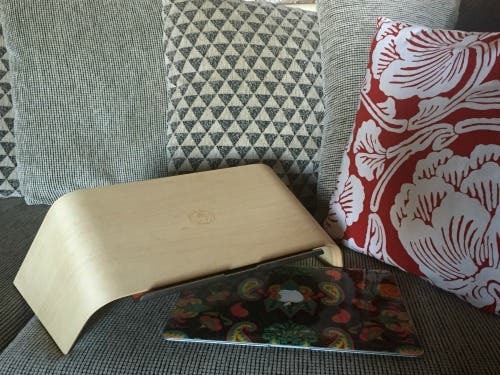 Grovemade Laptop Stand ($119) This beautiful solid walnut laptop stand features a raised, angled platform, lined with a vegetable tanned leather and a precision-cut stainless steel ledge for your device. The raised platform will allow you to work, watch, or play in comfort. Made in the USA and available in maple or walnut. Blast Motion Athletic Sensor ($149.95) The Blast Athletic Performance sensor will capture and analyze your performance and allow you to share instantly with friends. With the easy to use app and Smart Video Capture you can analyze, compare, and share your performance data. The precision motion sensor attaches easily and connects to your iPhone, iPad, or iPod via low energy Bluetooth. Inside the box, you’ll get the Blast Precision Motion Sensor, Blast Performance Attachment, wireless charger,and App download. Compatible with iPhone 5/5s/5c, iPhone 6 and 6 Plus, and other devices running iOS 7 or higher. BioSport headphones ($149.95) The lightweight feel, water and sweat-resistant technology, and built-in heart rate monitor in these sport headphones makes them a great personal training device.With an IPX4 rating for water and sweat resistance, the BioSport technology from Intel provides Studio Mastered Sound with accurate sport monitoring. There is no need for a battery or charge, as the BioSport headphones plug right in to your device to charge. Available in blue, yellow, and grey. Rukus Xtreme Solar Bluetooth Speaker ($199.99) This super loud, all-terrain, dual-powered wireless system has everything your Dad or Grad audiophile will need for great sound on the go. Extreme crystal clear sound comes from two full-range speakers and extended bass range. 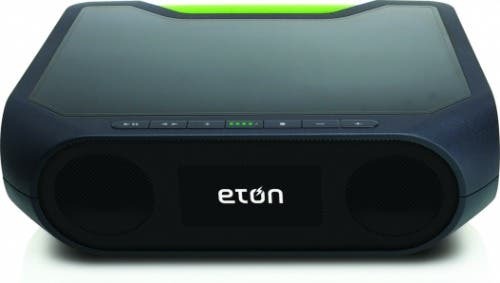 Dual powered with the highly efficient solar panel as well as the internal lithium battery for when the sun goes down. An AC adapter is provided so the sound doesn’t stop when the sun does.The Rukus Xtreme includes a USB port and also works as an external charger for your other devices. 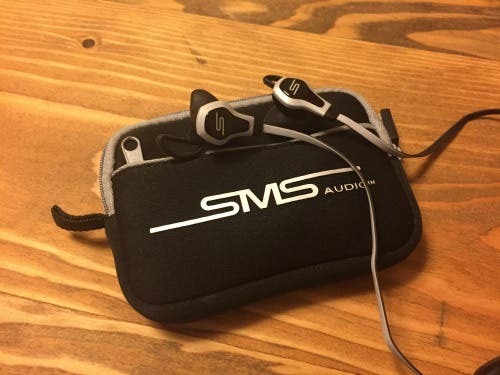 Use the advanced Bluetooth to connect to any Bluetooth compatible device and the aux-in port for non-Bluetooth devices. The Rukus Xtreme Speaker is ready for any terrain–Hit the trails, the beach, or just hang out at home with this rugged, splash-proof easy-to-carry speaker. Drop proof from a height of 3.3 ft and IPX4 water resistant. Available in green or black. House of Marley Liberate Bluetooth Over-Ear Headphones ($149.99) The wireless technology in these headphones–thanks to the Bluetooth AAC and APTX technology—provides a premium listening experience with all compatible devices. 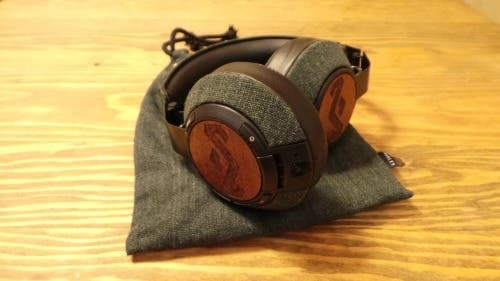 Serious sound is backed up by 50 mm drivers and signature FSC wood. The REWIND and leather headband with soft ear cushions makes for the perfect blend of comfort and sound. Available in Midnight and Saddle. Parrot Bebop Drone ($499.99) This lightweight, ABS reinforced leisure drone has some of the best flight performance ever seen. The structure is robust,yet safe in an emergency. It can be used indoors with the included EPP hulls and is amazingly stable yet maneuverable thanks to three automatic sensors. 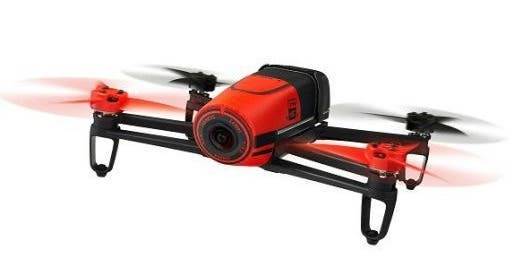 The Parrot Bebop Drone also has an ultrasound sensor with eight meter reach, a pressure sensor,and a vertical camera to measure speed, as well as a 14 megapixel fisheye camera to record video and take 180 degree photos. The drone is embedded with and GPS and flight map control which is controlled with your iDevice.You can save over 350 flights on the Parrot Cloud with the altitude and speed data collected and pictures and video can be easily shared on social media. Available in red, blue, or yellow.